Unveiled earlier this year, the card is UHS-I U1 and V10 rated, promising write speeds up to 90 MB/s. PNY Technologies, the American manufacturer mainly known for storage devices and peripherals, will be showcasing a new 512GB microSD card at Computex 2018 as well as the Elite-X Portable SSD. The microSD card was originally unveiled earlier this year and invites were sent out earlier this month. The card is rated UHS-I U1 and V10, and does promise write speeds of up toMB/s. 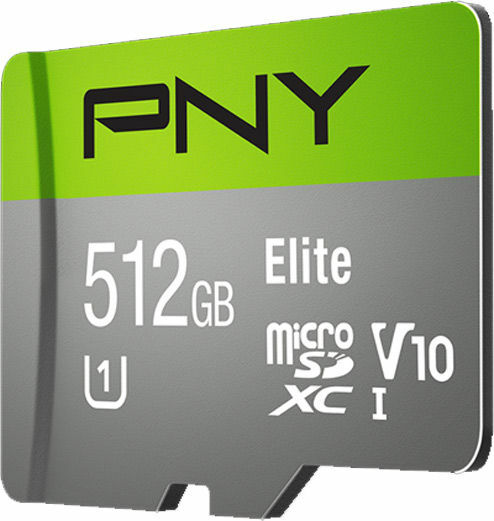 Priced at $350, the card has been labelled by PNY as the "world's largest microSD card" and it goes up against Integral's 512GB offering, which is priced at 330 GBP in the UK. A 512 GB microSD card can store 1,00,000 18MP photos for you or even 80 hours of 1080p video. The second device that PNY is all set to showcase at Computex 2018 is the Elite-X portable SSD, an SSD-based portable storage device with aluminium housing. The SSD comes with sequential speeds of 800 MB/s write and 660 MB/s write over USB-C 3.1 - which, if you're wondering, is much higher than an HDD based solution. In the physical aspect, it is quite small, but it is expected to come with capacities ranging from 240 GB to 960 GB. Stay tuned to our Computex 2018 coverage for details about pricing, availability and more. Which graphic card to buy? Which graphic card to buy ? Which Graphics Card to buy ?